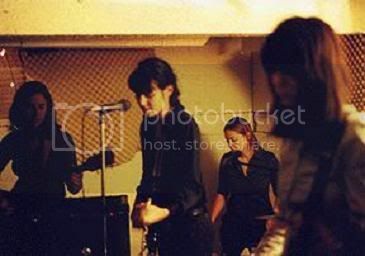 Slumber Party is an all-girl band from Detroit. I can not describe their style myself, but it's some kind of pop/rock with keyboards. Actually I didn't like them much at the first listen, but the more I play those songs I can't help but like Aliccia's singing and this almost strange music. Three full albums have been released so far and a fourth, Musik, will be released September 12 on kill rock stars.